Want to get a BlackBerry but you are not quite sure where to start? 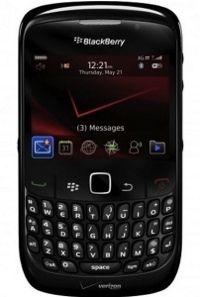 Well, why not begin with MetroPCS as they offer the BlackBerry Curve 8530? This new smartphone will be available with unlimited talk, text, Web and data service, just in case you’re interested to keep in touch with family and friends round the clock without worrying too much about the final monthly bill. Features include Wi-Fi connectivity, e-mail, and turn-by-turn GPS navigation, where all of the mentioned will cost you a mere $60 monthly, where it already includes the whole range of applicable taxes and regulatory fees. When totaled, it is nearly half of what consumers would fork out in this day and age for other smartphone service plans at different carriers. Sounds like good value for money to us, considering the current economic climate. At $60 a month, MetroPCS’ BlackBerry service plan delivers exceptional value, where you will be able to take advantage of popular IM services as well as the ever famous and faithful BlackBerry Messenger, not to mention keeping your status updates right up to the second through a range of social media networks. Apart from that, you will also be able to access the latest content including games, ringtones and wallpapers via the @Metro App Store and BlackBerry App World. While it might not be as comprehensive as Apple’s App Store, at least it is better than nothing. With special MetroPCS applications such as Metro Navigator, Metro Back-up, Premium Directory Assistance and Metro Banking, you can be sure your life will be made a whole lot easier. Other hardware specifications include a full QWERTY keyboard for easier text messaging and email composition, while an optical trackpad keeps up with the times since the good old trackball tends to gather dust over time. It is rather unfortunate that the digital camera maxes out at just 2-megapixels, complete with zoom and video recording. Interested? Might be a good start for those who are trying to figure their way around in the world of smartphones. If you want a good, reliable smartphone I strongly disagree on purchasing the so called good blackberry curve. As of now the best smartphone metro has to offer is the touchscreen samsung caliber.It is a very good phone and reliable cneck it out!!! The Samsung Code is not a smart phone at all. It is a touch screen, but nothing more. It has lots of nice features that sometimes make it feel like a smartphone, but it has NO ability to add applications, NONE. It is NOT a smart phone. The Blackberry Curve from METROPCS is the best phone, but a MILE, offered on the carrier. The BlackBerry Curve from Metro Pcs is a great phone if you are looking for a smartphone that is very reliabe!! !